Secluded and private, with a walking track at your front door, a winery/cafe 100m away, the Pt Elliot dog park 300m walk away, this property is perfectly located for a quiet and peaceful get away. 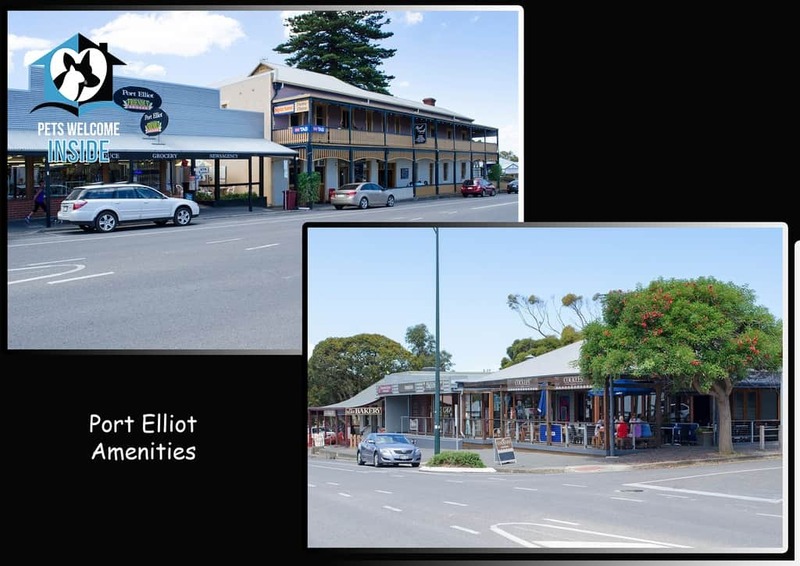 Now with free high speed (NBN) wi-fi!!! The open plan living area and three bedrooms have a new floating floor. The theme for the property decor is “Nordic Retro Beachhouse” (is that even a thing? We think its a thing!). A colour palette of white, grey and black complements the natural timber of the furniture, and captures some of the landscape of a winter in Europe. One of the interesting art pieces is a canvas print of a 19C map of Copenhagen. The brand new kitchen has stainless steel dishwasher, electric ceramic cooktop and oven. The adjacent dining area has a stunning 70’s timber dining setting that seats 10 people (when fully extended). The living area has a big screen full HD TV with built in DVD, a stereo with iPod dock, a beautiful Swedish recliner and a very comfortable modular sofa. Like all our properties (and our home), the bookshelf is fully stocked with a great collection of literary fiction and some airport novels! DVDs, CDs and a collection of games are also provided so there will be plenty to do and enjoy whilst relaxing at this lovely house. All three bedrooms look out to the vineyard and olive grove. The main bedroom has an extensive built in wardrobe with a brand new ensuite bathroom (shower, vanity and toilet). It has a Queen Size pillow top bed. The second bedroom has a double bed with built in robes. The third bedroom has a bunk bed (two singles) and built in robes. 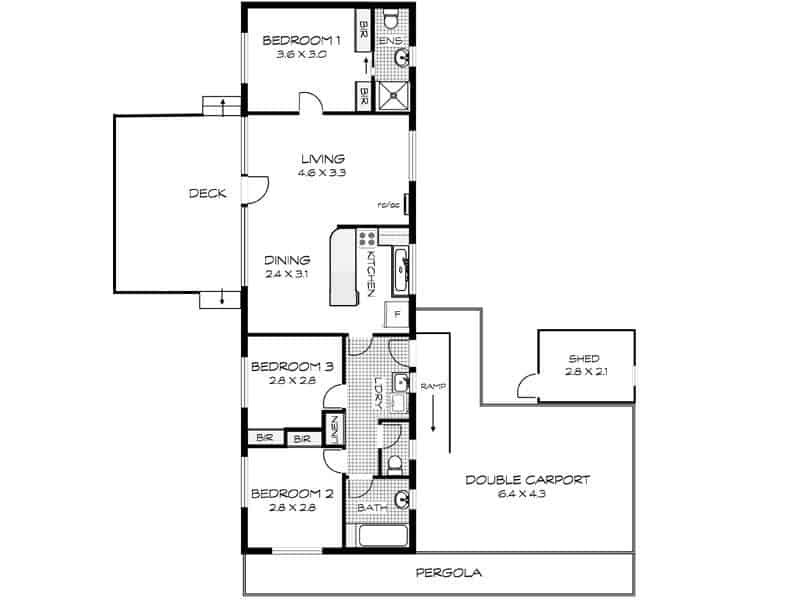 The two rear bedrooms are conveniently located opposite the bathroom (with a bath) and separate toilet. The property sleeps 6 people in four beds. The big deck at the front of the property is located to maximise the gorgeous views and to protect from the weather. A new gas BBQ on the deck enables you to cook outside. We want to make sure you are as comfortable as possible during your stay! The property has reverse cycle air-conditioning for year round comfort. Both bathrooms have built in heat lamps for winter warmth. The main beds both have electric blankets. A washing machine is provided for your convenience. The yard is fully fenced – all the way around. There is a short ramp for access to the house at the rear (the house is about 1M off the ground) – so any humans or animals who don’t like stairs will be able to make their way up to the house. There is under cover parking for two cars, plus room to park a boat. 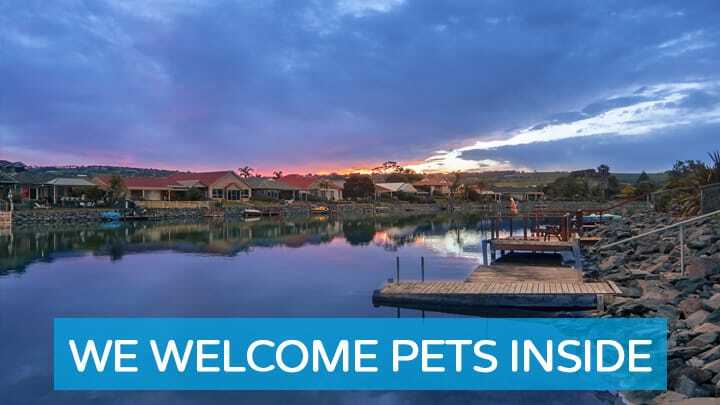 Like all PetLet properties, this holiday home is 100% pet friendly. 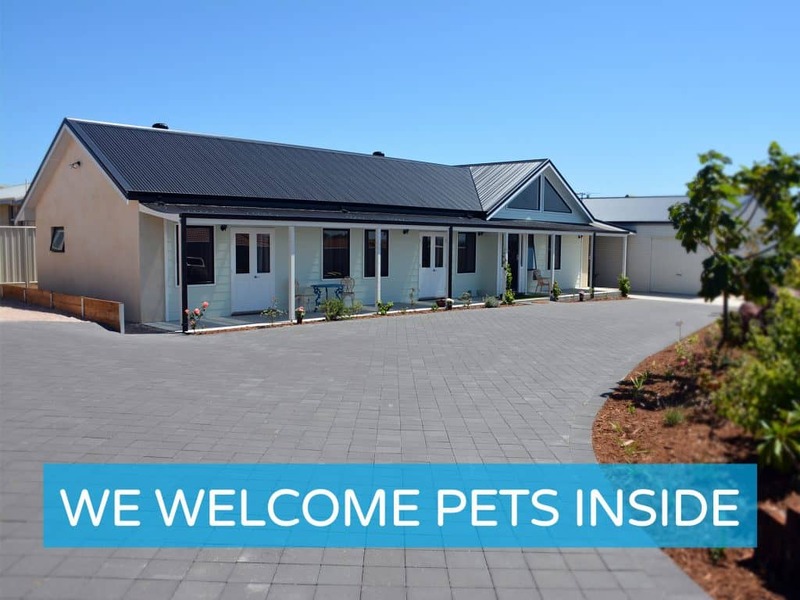 That means we welcome all pets – including both cats and dogs. All pets are also very welcome inside! 3) Clean – our properties are always 100% clean. We guarantee it! We have dog proof fencing all the way around the house. Pet bowls (water and food) are supplied. This property is fabulously located for walking your dog as the pathway is virtually outside the front door. Its a very short walk to the dog park! You can see it from the front deck! 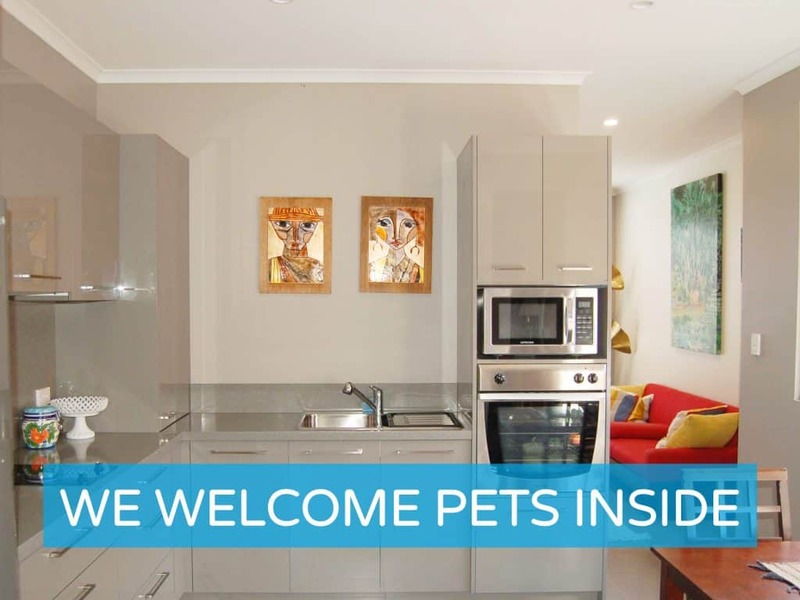 Your dogs and cats will love this property!